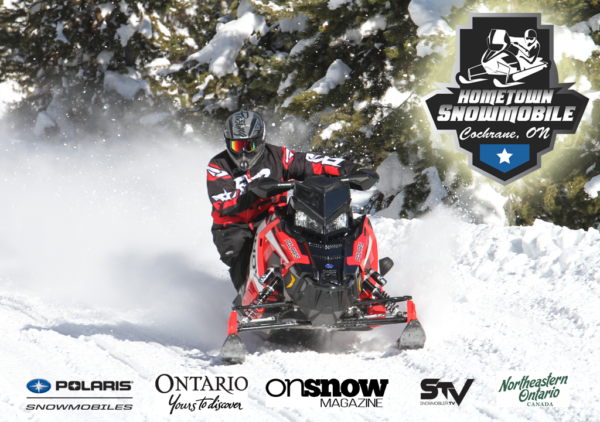 On Snow Magazine (OSM) – North America’s Best Snowmobile Magazine – Levi LaVallee is heading to Cochrane, Ontario to Ride with STV and OSM! In partnership with Polaris Snowmobiles, Destination Ontario, NorthEastern Ontario, On Snow Magazine (OSM) and Snowmobiler Television (STV), it is announced that Levi LaVallee will visit Cochrane, Ontario. Levi LaVallee is excited to announce that he will be riding and taking in all things “Hometown”, this weekend in Cochrane, Ontario. The hometown ride is part of an initiative on promoting the lifestyle of the sport and getting to know hometowns that are key to the sport of Snowmobiling. Anyone that has spent time snowmobiling in Ontario knows that Cochrane is a must do on the snowmobile bucket list. The plans for the Hometown Ride this weekend are to ride Friday, February 1st, around the area and take Levi to the Antique Snowmobile Museum where he will spend some time taking in all the vintage sleds. We will then head over to the Polar Bear sanctuary and learn about those amazing animals. Friday night the crew will be guests of the Cochrane Crunch Junior A hockey team as they meet their rivals, The Hearst Lumber Jacks, in what will sure to be great hockey! Levi will be in attendance before the game, so plan come out and meet him! Levi will be dropping the puck at 7:00pm sharp. Saturday, February 2nd, Our crew will be out riding even more of the amazing trails around Cochrane and taking in more of the exciting things to do before Levi heads out back to Minnesota. A special thanks to Polaris, Destination Ontario, NorthEastern Ontario, The Best Western Swan Inn, and Bourque Auto/Polaris for making this Hometown Ride a possibility! Professional Snowmobiler, Levi LaVallee is one of the most diverse snowmobilers around. Levi started riding snowmobiles at the young age of eleven and from there his passion grew to racing competitively and became a professional Polaris Factory rider at the age of 20. LaVallee has earned the title of a Snocross Champion, 13x Winter X Games Medalist (8 of those medals being gold), first person to attempt a double back flip on a snowmobile, named one of the top action sports influencers by ESPN, and holds the current World Record for longest jump on a snowmobile (412ft). Levi started his own professional snocross racing team in 2009, Team LaVallee and most recently started a video series on YouTube, called Livin LaVallee.